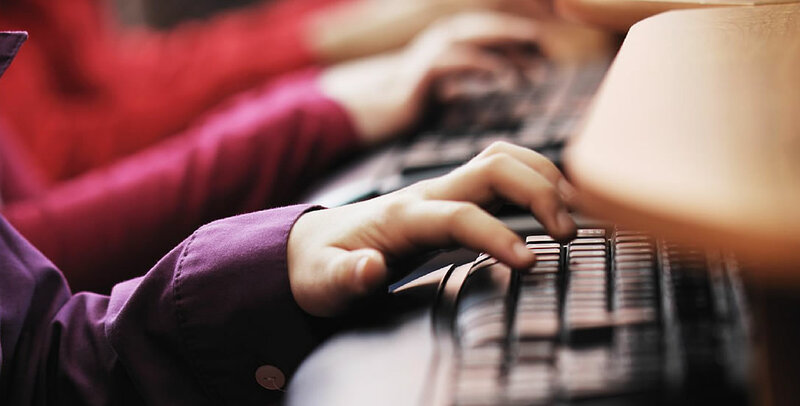 Not long ago, school districts made decisions about major technology contracts—such as laptops for students—after a rigorous and competitive process that carefully weighed factors including cost, usefulness and safeguards on children’s privacy. In the past decade, Google has radically transformed that model by directly enlisting teachers to push their products into the classroom. Festooned with balloons in Google’s primary colors, rah-rah Google seminars promote the company’s products to teachers and administrators, often adopting the boosterish look and feel of a multi-level marketing conference—far removed from the typically dry educator-training meetings.2 Students are often recruited as props as teachers and “EdTech” presenters share inspirational tales of classrooms transformed by Google’s products. The story of how Google took over the classroom in half-a-dozen years was explored in 2017 by The New York Times, which detailed how Google was transforming public education by providing low-cost laptops and free apps to schools across the country.7 Our review of publicly-available information about Google’s education drive—including from open records requests, grant materials, financial disclosures and school board documents—raises further questions about the company’s tactics to capture the classroom. The analysis found that the company implemented a three-pronged strategy to take over America’s— and increasingly, the world’s—classrooms. First, Google pitched its education products directly to teachers, offering them lucrative consulting contracts and turning them into advocates for Google’s products with their peers. 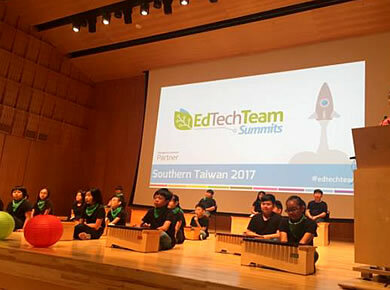 Second, Google passed off much of the expense of teacher training on its products to school boards, thus helping defray the costs associated with conducting thousands of Google Education seminars. The result was a gold rush for a fledgling EdTech industry that trained teachers on Google products by tapping into schools’ “professional development” funding. Today, hundreds of companies and teacher evangelists offer such services not only for Google, but for Apple, Microsoft and other tech companies. 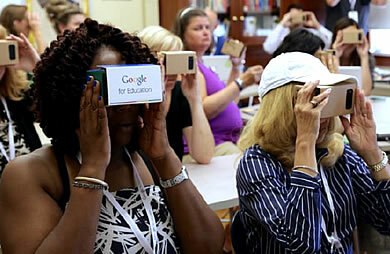 Third, Google relied on its relationships with well-connected education officials to lobby for its products. Not only have Google’s evangelists worked to push the company’s products locally, but they’ve also worked with Google’s EdTech partners to participate in influential working groups on national education policy. Google’s strategy appears to have been inspired in large part by Esther Wojcicki, the former mother-in-law of Google co-founder Sergey Brin, and mother of YouTube CEO Susan Wojcicki,12 whose high-level ties hint at the strategic importance of the effort to the company’s future. Yet Google’s aggressive use of educators to push its products to the classroom has raised questions about potential conflicts of interest and time spent away from educators’ primary jobs— teaching students. Google’s marketing push also raises questions about whether the promise of a consulting contract with Google or its EdTech suppliers may inappropriately influence teachers’ decisions in the classroom. Adding to all of these concerns is the perennial issue for products involving Google: privacy. Advocates have warned for years that Google is tracking every move students make online and that parents have few options to keep their children out of Google’s system.27 While the company insists it complies with the law, it has never properly answered a host of questions, including whether a student’s use of Google education tools in the classroom is used to build a historical profile that is “switched on” when the student reaches adulthood.